The Companies Act, 2013 has been in force for about a year now. The law while ushering in a new era for corporate regulation in India has introduced massive changes in the way companies govern themselves. 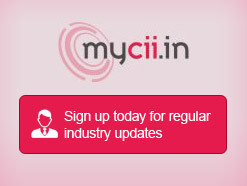 CII has been instrumental in ensuring that industry voices were heeded during each stage of evolution of the Act. The advocacy still continues with formal submissions on implementation of the legislation which has now thrown up newer issues and challenges. This is being done through various mediums including consolidated CII Representations; closed-door meetings with industry captains; one-to-one meetings with concerned Ministers and other key officials at the MCA. Based on these submissions and interactions, many concerns highlighted by CII post notification of the Act and Rules have been clarified / notified by MCA. The remaining issues cover provisions relating to onerous requirements for private companies and closely-held unlisted public companies; related party transactions; CSR; amounts treated as deposits; certification of internal financial controls instead of internal control over financial reporting; consolidation of accounts; alignment with SEBI regulations, etc. amongst others. These provisions require reconsideration either due to their extended reach or complexity in drafting the regulation or practical difficultly in compliance. 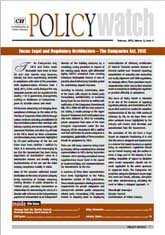 This issue of Policy Watch is dedicated to the Companies Act, 2013.